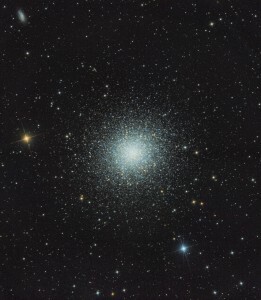 Great image of M13 by John from his Polegate Observatory. Greetings from an old member! Especially to Bob Cripps and Peter Gill. I am now an expat and a US citizen living in Plattsburgh NY. I retain very fond memories of the society particularly Dave Godfrey who I miss greatly since he passed away in 2007. I have resumed the hobby after an absence of 13 years and now own a CR6 6 inch refractor and a 8 inch DOB. I have fallen into the rabbit hole of astrophotography and am getting some decent results. The light pollution of Plattsburgh is low and the skies are very dark but it’s as cloudy as Eastbourne! It would be good to reconnect to you all and I look forward to hearing from the members about the activity of the EAS.